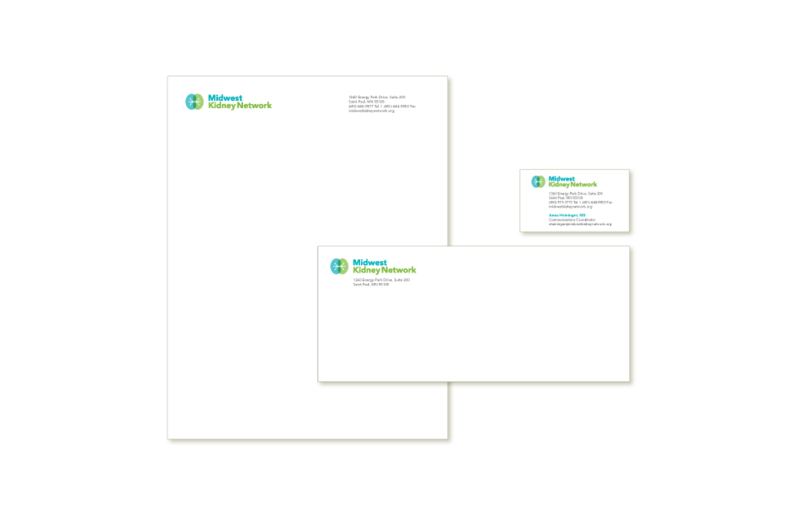 New visual identity and website theme Midwest Kidney Network is a non-profit organization dedicated to improving care for patients with end-stage renal disease. They approached us for help with a new brand identity and a refresh of their website. 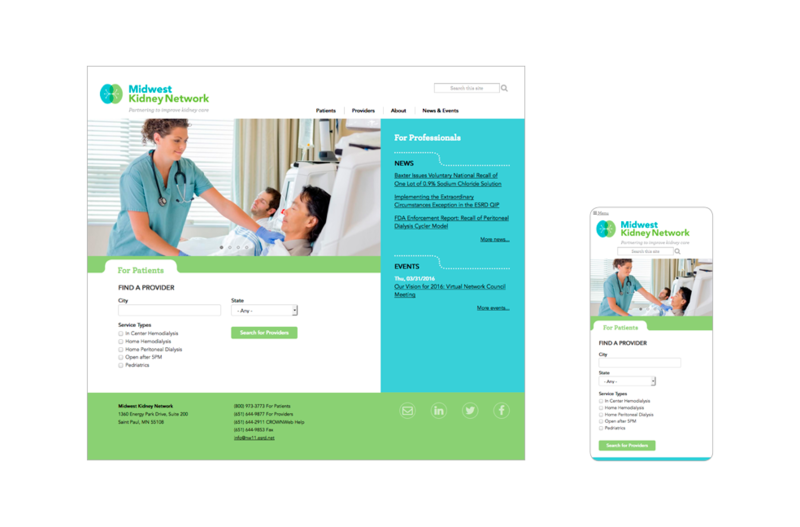 Midwest Kidney Network had already worked with us on a previous version of their website. The time had come for creating a new visual identity that reflected their expertise and the respect they have earned serving as the “bridge” between kidney care facilities and patients in the region. We quickly learned that they are not squeamish about visuals of kidneys. A survey of similar oganizations across the country showed the same preference. We chose a color scheme that is calming and common in the healthcare industry. Their new website has a clean design with clear content paths for Patients and Professionals.